I wanted to share about my new secret cleaning weapon- lemon essential oil. Essential oils are great as an ingredient in homemade cleaning products (usually combined with vinegar, baking soda, or a little castile soap), but I wanted to say how amazed I’ve been lately on using a few drops of straight lemon essential oil on stubborn stains and dirt- things that I’d tried everything else on without success. If you have any adhesive residue, a couple drops of lemon oil removes it in seconds. I’ve even used it on stubborn scuff marks and old scratches, that had been cleaned with other products without success, and a bit of straight lemon oil (and a little elbow grease) made them look better than I ever thought possible. I even spilled some of a medicine for my daughter’s fish tank on a table, which was dark blue and seemed very much like ink. I tried wiping it up with a wet towel or glass cleaner, but it seemed to be soaked in to the finish of the table and wasn’t going anywhere. I thought of lemon oil and was worried it might ruin the finish on the table, but thought even if it did, I thought it would be better than the dark blue blotches I’d made. A few drops of lemon oil took the inky blue stains right out of the table, and the shine on the table didn’t look like it had any damage! I’ve been using lemon oil all the time now on stubborn dirt and stains around the house, and I really can’t recommend it enough! Straight essential oils are very strong, so be sure to wash your hands well after using or use cleaning gloves. Also, since lemon oil is so potent, I’d recommend testing a patch on surfaces first to see if it damages the finish. Generally, essential oils are best as part of an ingredient in a homemade cleaning solution (here is a link to a site with a lot of great simple recipes for making household cleansers with lemon oil), but for those times when nothing else works, a few drops of straight lemon essential oil can work like a miracle! This spray is absolutely fantastic for sore throats. Not only does it soothe an irritated throat, it helps to reduce inflammation and kill bacteria. We have amber glass travel size spray bottles at the store which are perfect for this throat spray recipe. Start by boiling your water. After boiling, steep the tea bags in the water until it has cooled to slightly above room temperature. Remove tea bags and mix in honey, sea salt, and cayenne pepper stirring until completely dissolved. Depending on the type of raw honey you use, you may need to use a whisk to dissolve the honey (the Y.S. Organics Bee Farms raw honey I use is very thick, so I had to whisk it for a while). Next, add the apple cider vinegar and essential oils, and then pour the mixture into a spray bottle. If using this recipe for children, I might recommend making it without the essential oils. It will still be effective. Give the bottle a shake each time before spraying. Enjoy! It’s fantastic for a sore throat, but is also great to use as a preventative measure. I love it! NOTE: I’ve made two different batches of this recipe, this one, and one that is heavier on the essential oils. I can’t decide which I prefer. If you want to make the above throat spray recipe a little stronger, you can increase the essential oils in the recipe to 7 drops lemon oil, and 3 drops each of eucalyptus, peppermint, and clove oils. This recipe makes at least three full 2oz. spray bottles. We have a new essential oil blend in stock by NOW Solutions called Nature’s Shield. It is NOW’s version of the popular “Thieves Oil” blend, which is a mixture of five different essential oils known for their antibacterial and disinfecting properties. See here for more information on the oil. It is inspired by the legend of four 15th-Century thieves that survived the black plague by using a combination of oils to protect themselves against the highly contagious airborne bacteria. Nature’s Shield is an aromatic mix of cloves, organic lemon oil, cinnamon, eucalyptus, and organic rosemary oil. We also have a recipe for making your own “Thieves Oil” blend on our website here (it’s at the bottom of the page). We carry several different, wonderful brands of essential oils at Pass Health Foods, including Simplers Botanicals and Aura Cacia; the majority of our oils, however, are from NOW Foods. Our oils from NOW Foods are 100% pure and unadulterated and are extremely high quality, while remaining very reasonably priced. NOW Foods is a local, Illinois based company, which works diligently to ensure quality while remaining affordably priced. GC is an "identity" test that is used on complex mixtures to separate and identify individual volatile components through specific analytical columns combined with a carrier gas. This "fingerprint" allows an experienced analytical chemist to positively identify the oil's species. With FTIR, a beam of infrared light is passed through a sample to determine the frequency at which energy is absorbed. It is a highly accurate method that helps reveal and confirm the identity and purity of essential oils. NOW's experienced analytical chemists use this sophisticated tool to check every oil. 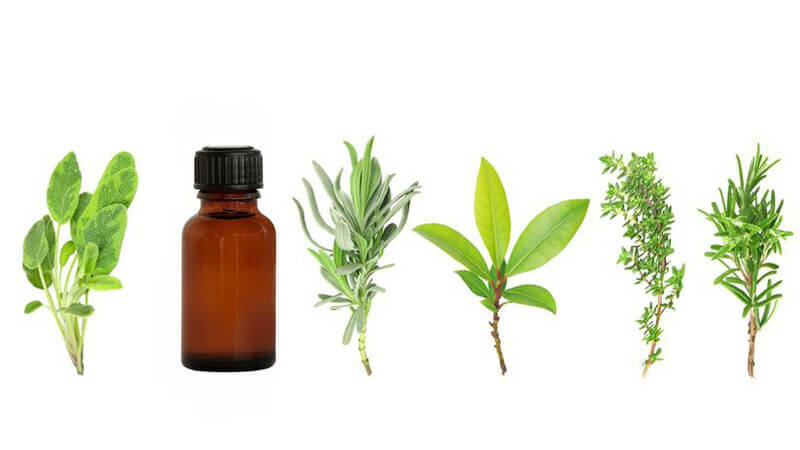 For more information on NOW’s essential oil testing, please see this article on their testing methods, and this article on assuring the identity and quality of their essential oils. Our oils are intended for aromatherapy and are labeled as such. Additionally, we include cautionary language created by the American Herbal Products Association (AHPA) intended to protect consumers from misuse of the product. Some presumably food grade oils do have specific cautions against internal use that should be followed. Please note that our essential oils are highly concentrated and thus caution should be taken if you consume them. At NOW Solutions we take assurance of the quality and purity of our essential oils very seriously. We’ve made long-term investments in the instrumentation and the professional staff necessary to assure the identity, purity and quality of our essential oils, and we work closely with our growers and suppliers to ensure the quality of our raw materials. By ensuring all aspects of essential oil quality we guarantee that what’s on the label is what our customers get in the bottle. Here is a list of available safely sheets on various NOW essential oils. We have three new essential oil diffusers available at the store! All are ultrasonic oil diffusers which use high-frequency electrical vibrations rather than heat to create an ultra fine, cool aromatherapy mist. They also help to add moisture to the air, which is especially beneficial as we move into the colder months. There’s no heat involved, so there is no danger to children, and once the water is used up they shut off by themselves. I can’t even say how much I love these diffusers, plus, they use only water and essential oils, so there are no refills to buy. Our new diffusers are truly unique. The first (which is my favorite) is a genuine bamboo wood diffuser. It is absolutely gorgeous and matches wonderfully with any décor. The second is interesting because it has two vents to direct the aromatherapy vapor in two different directions, so it’s good for large spaces. Both of these diffusers have settings to run continuously or intermittently (cycling on and off), and can run up to 16 hours on the intermittent setting. Our third diffuser is a USB diffuser that plugs into a laptop, so it’s great for offices, college dorms, and traveling. All three of our diffusers are extremely easy to fill and clean. I honestly cannot recommend these diffusers enough, and they're a fantastic way to enjoy the benefits of essential oils in your home. This recipe makes a LOT, and can be easily halved. It made a total of seven lip balm tubes, seven small lip balm containers, and one full 1 oz jar. We have all sorts of empty containers available at the store for doing DIY health and beauty. Prepare your ingredients and open all lip balm containers so the liquid beeswax mixture can be quickly poured and easily filled. Once all the ingredients were melted, I separated the recipe in two halves so I could try two different flavors. This isn’t necessary, though I’m happy I did. I would advise using a pyrex or something with a spout. I tried using pipettes, but found that just pouring the beeswax mixture into the lip balm tubes was the easiest, since the mixture started solidifying in the pipette before I could fill all the containers. I don't like very strongly flavored/scented lip balms, so if you do you may want to increase the amount of essential oils by a few drops each. I wanted to make unique flavors that weren’t commercially available. I really love them both! Next time I will try adding lemongrass or bergamot oils, though I would reduce the amount of total drops since the NOW vanilla and rose blends are mixed with a carrier oil, so they isn’t as strong as a pure essential oil. I will absolutely be making this recipe again. I am a lip balm fiend, and go through lip balm very quickly (partially since I’m always forgetting them in my pockets before I put them through the washer/dryer. I would very much recommend trying it! We’ve started carrying new organic essential oil blends by Simplers Organics. I’ve been really impressed with the quality of these essential oils and how clean and beautiful they smell. All of the essential oil blends featured below are on sale this June for 20% off. Blissful and Bright is one of my favorite blends. It’s cheery and uplifting and is great for a quick mood boost. Ingredients: Citrus bergamia (Bergamot) Oil*, Citrus x paradisii (Grapefruit) Oil*, Citrus sinensis (Sweet Orange) Oil*, Salvia sclarea (Clary Sage) Oil*, Citrus aurantium (Neroli) Oil*, Boswellia carterii (Frankincense) Oil*, Elettaria cardamomum (Cardamom) Oil*. Calm Within is a fantastic blend for stress and nervousness. It’s a very soothing and grounding oil. Ingredients: Lavendula angustifolia (Lavender) Oil*, Citrus sinensis (Sweet Orange) Oil*, Citrus aurantium (Neroli) Oil*, Vetiveria zizanoides (Vetiver) OIl*, Pelargonium x asperum (Rose Geranium) Oil*, Cananga odorata (Ylang Ylang) Oil*. This is a wonderfully relaxing sleep blend that can help soothe the body and quiet the mind. Ingredients: Lavandula angustifolia (Lavender) Oil*, Citrus reticulata (Mandarin) Oil*, Chamaemelum nobile (Roman Chamomile) Oil*, Origanum majorana (Sweet Marjoram) Oil*, Boswellia carterii (Frankincense) Oil*. This is a very effective blend for mental exhaustion, and can help to reduce feelings of stress and fatigue. Ingredients: Citrus limon (Lemon) Oil*, Abies balsamea (Balsam Fir) Oil*, Elettaria cardamomum (Cardamom) Oil*, Ocimum basilicum (Sweet Basil) Oil*, Rosmarinus officinalis (Rosemary) Oil*, Mentha x piperita (Peppermint) Oil*. Fortify and Protect is a great wellness blend, and is useful for cleansing and detoxifying the environment. Ingredients: Citrus x paradisii (Grapefruit) Oil*, Origanum majorana (Sweet Marjoram) Oil*, Eucalyptus radiata (Eucalyptus) Oil*, Lavandula angustifolia (Lavender) Oil*, Citrus sinensis (Sweet Orange) Oil*, Melaleuca alternifola (Tea Tree) Oil*, Ocimum sanctum (Holy Basil) Oil*, Syzygium aromaticum (Clove) Bud Oil*. This blend is formulated for respiratory issues and can open and soothe the sinuses. This blend helps to soothe itching from yeast overgrowth. Ingredients: Olea europaea (Olive Fruit) Oil*, Calendula officinalis (Calendula flowers)*, Lavandula angustifolia (Lavender) Oil*, Melaleuca alternifolia (Tea Tree) Oil*, Tanacetum annuum (Moroccan Blue Chamomile) Oil*, Thymus vulgaris linalol (Thyme) Oil*, Helichrysum italicum (Helichrysum) Oil*. This topical blend is formulated to help in reducing the appearance of scars. I am a big fan of essential oils and using a diffuser, but in the past my love for them was pretty much because they make such nice, natural room scents. It’s a wonderful thing to have a great smelling house just using essential oils, without that horrible artificial air freshener scent. In my research however, I’ve found a large body of clinical research on the scientifically verified benefits of essential oils. Alzheimer’s patients were found to have improved cognitive function using aromatherapy: lemon and rosemary oils in the morning and lavender and orange oils in the evening. Rose oil causes significant decreases in systolic blood pressure and made subjects more calm and relaxed when compared with the placebo group. Many essential oils can kill airborne bacteria when diffused into the air, particularly cinnamon bark, cinnamon cassia, thyme, clove, peru balsam, and tea tree oil. All of the studies referenced above use aromatherapy with essential oils by breathing them in- diffusers are great for that. We sell two different great ones at the store by NOW Foods. All the oils we sell state that they are for external use only on the bottles. The essential oils we have are 100% pure, with no additives, but are sold for external use only as a precautionary measure since there are a number of oils which are toxic, some extremely so. Wintergreen oil, for example, is extremely poisonous and one teaspoon of such oil could kill a child. I don’t mean to sound alarmist or be an essential oil fear monger, but it is vitally important to treat essential oils with care. Many people equate them as the same thing when used for internal use as drinking a cup of herbal tea, when they are emphatically not the same thing. For example, one drop of peppermint oil in water would be the equivalent of 28 cups of peppermint tea, and one drop of lemon oil is equal to an entire pound of lemons. They are very potent plant compounds. That being said, they can be very effective. Aromatherapy is particularly wonderful since diffused essential oils impart benefits without interacting with medications. There are also a number of essential oils which can be helpful during the winter for illness. Most of the information below is from the book The A to Z of Essential Oils by E. Jay Bowles. All of the uses below are for inhalation through a diffuser. Anise can help with reducing bronchial constriction. Cedarwood can help with reducing coughing. Eucalyptus can help to aid in breathing and reducing lung congestion by working to expel excess mucus. It also has antibacterial properties. Frankincense can help to break down mucus and is beneficial for a congested respiratory system. Lemon has energizing properties and is also an antibacterial and antifungal properties. Tea tree oil has potent antibacterial properties and can help with respiratory infections. Grapefruit oil for reducing the appearance of cellulite. We are continuing our december essential oil sale, so During the month of January all our essential oil diffusers and NOW Foods essential oils will be on sale for 20% off.